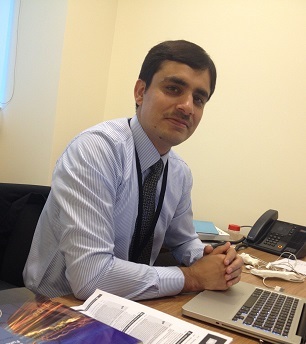 Asad Masood Khattak is an associate professor at the College for Technological Innovation, Zayed University in Abu Dhabi that he joined in August 2014. He received his M.S. in Information Technology from National University of Sciences and Technology, Islamabad, Pakistan in 2008. He got his Ph.D. degree in Computer Engineering from Kyung Hee University, South Korea in 2012. He worked as Post-Doctoral Fellow at Department of Computer Engineering, Kyung Hee University, South Korea for seven months and then he started working in the same college as Assistant Professor. He is currently leading two research projects and collaboration in three research projects in the same research fields. He has authored/coauthored more than 50 journal and conference articles in highly reputed venues. 1) Asad Masood Khattak, Wajahat Ali Khan, Zeeshan Pervez, Khalid Latif and Sungyoung Lee, "Mapping Evolution of Dynamic Web Ontologies", Information Science, (SCI, IF:3.893), 2015. 2) Wajahat Ali Khan, Mohammad Bilal, Asad Masood Khattak, Maqbool Hussain, Mohammad Afzal, Sungyoung Lee and Eun Soo Kim, "Object Oriented and Ontology Alignment Patterns based Expressive Mediation Bridge Ontology (MBO)", Journal of Information Science, (SCIE, IF:1.08), 2014. 3) Asad Masood Khattak, Akbar Noman, Mohammad Aazam, Taqdir Ali, Adil Mehmood Khan, Seokhee Jeon, Myunggwon Hwang, Sungyoung Lee. "Context Representation and Fusion: Advancements and Opportunities." Sensors (SCIE, IF: 2.04), 14, no. 6: 9628-9668, 2014. 4) Wajahat Ali Khan, Asad Masood Khattak, Maqbool Hussain, Bilal Amin, M Afzal, Christopher Nugent and Sungyoung Lee, "An Adaptive Semantic based Mediation System for Data Interoperability among Health Information Systems", Journal of Medical Systems (SCIE, IF 1.783), 2014. 5) Asad Masood Khattak, Khalid Latif, and Sungyoung Lee, ”Change Management in Evolving Web Ontologies”, Knowledge-based Systems, (SCI, IF: 4.104), January 2013.